Evergreen Line has teamed up with Alibaba.com to provide Alibaba.com members with the option of booking sea freight services online with guaranteed space and prices. Evergreen Line has also appointed Evergreen Logistics Corporation as a designated provider of customized, comprehensive logistics solutions for Alibaba.com members opting for its sea freight services. The growth of e-commerce has resulted in small, fragmented orders from global buyers. Taking note of the need for user-friendly logistics services of smaller volume shippers, Evergreen Line is collaborating with Alibaba.com to allow shippers to search for freight rates and reserve cargo space on the Alibaba.com platform directly, a service that will be available to primarily suppliers in China. Once a booking is confirmed, the selected price is also locked-in. The rate will not alter regardless of how the market price changes. With a guarantee of space and price, shippers can keep their production lines running with assurance and control their logistics costs with confidence. 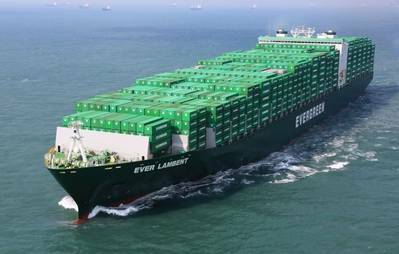 In addition to this new direct booking facility , Evergreen Line is also responding to the needs of smaller shippers for one-stop logistics services by appointing Evergreen Logistics as a supplier of such services for Alibaba.com suppliers opting for Evergreen Line’s sea freight services, contactable at the online booking point. No matter if it is a trucking arrangement, customs clearance or documentation requirement, Evergreen Logistics can provide cost-effective and time-critical solutions to shippers who may not be familiar with such procedures.